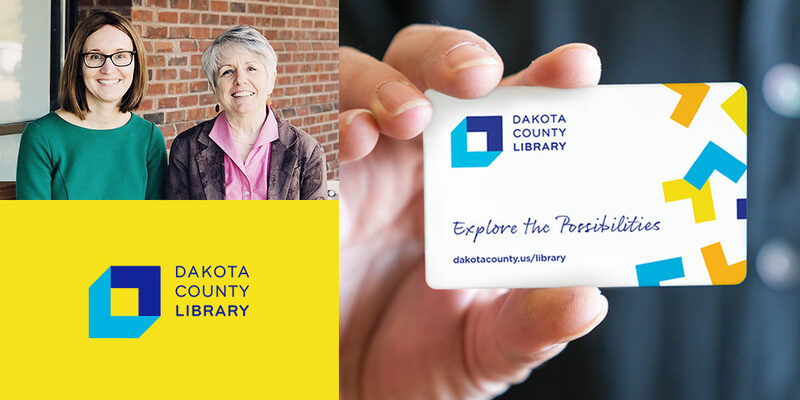 Among the volumes of periodicals, digitized audio books, streaming movies, fix-it-clinics, hands-on knitting classes, author visits, and caregiver support meetings, the Dakota County Libraries have written the book on how to cultivate community, creativity and learning. Their professional team – dedicated to the diverse needs of their neighbors – keeps things humming along at nine area branches, serving well over 150,000 individuals in the last 24 months. Yet, in a sense, the Library was experiencing its own case of “don’t-judge-a-book-by-its-cover” syndrome. We are excited to welcome Malena Thoson as our new Head of Project Management! We are so excited to welcome Shawn Andros as our new Motion Graphics Designer! Breaking molds and re-setting traditional mindsets. This is 5IVE’s signature approach on any given day as our nimble team strategizes, creates and reinvents on behalf of our clients to further their success. Today, we’re holding up the mirror. At 5IVE, our passion for community and connection permeates throughout our team and into our culture. We not only collaborate with, but also stand behind our impactful nonprofit partners. It’s what gets us out of bed in the morning. 5IVE is excited to welcome our new Production Designer, Derek Skar! 5IVE is excited to welcome our new Designer, Allison Rolinger!